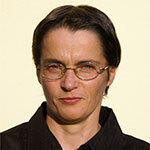 She graduated at the Budapest University of Technology and Economics in 1988. After having been involved for more than 15 years in study abroad and international student exchange programs she switched to finance and got a degree as a certified accountant. She is working at the Centre for Learning Innovation and Adult Learning of the Budapest University of Technology and Economics since 2009. As the head of finance she is responsible for the financial administration of international projects and she manages the centre’s financial tasks. She speaks fluent English. Address: 1111 Budapest, Egry József u. 1. E. ép. XI. em.